Welcome to the Ville Lumiére! More than for its history and its ancient monuments, Paris is a modern city able to charm, surprise and fascinate its visitors. Paris is the city par excellence; with its wonderful and immense boulevard; its museums and timeless masterpieces; its wonderful parks; Paris of the Sacred Heart e Montmartre, city of artists and writers. Paris, the city of lovers, which in the evening is transformed in the light of its Tower that illuminates the city. Paris that never gets old. Difficult that those who have not yet been there, at least once did not want to go to Paris. So get ready for your trip to the Ville Lumiére. The plane is the best solution and, of course, the most convenient to reach the capital, considering the distance. 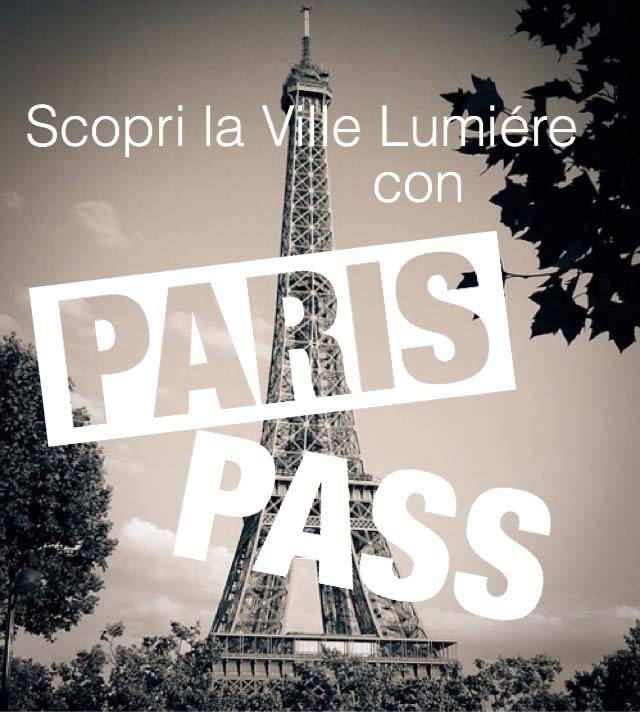 Daily depart flights from the main Italian cities to Paris. The city boasts the presence of two major international airports, Charles De Gaulle ed Orly, and a third airport a Beauvais, well 100 kilometers away from the center. Our SPECIAL AIRPORTS contains all the practical info and advice. All companies, direct connections and info to get to the center by public transport. The French rail system is organized and well-functioning. The city boasts the presence of numerous railway stations, the main lines of the Grand Lines (Grandes lignes). All the Parisian stations are connected to each other by the underground and RER networks. Gare d'Austerlitz, Paris Saint Lazare, Paris Lyon e Gare du Nord they are the main stations where the greatest passenger flow is recorded. Of these, Gare de Lyon, in the 11th arrondissement, it is probably the best known. It is housed in a historic 1848 building. Enlarged then in the 1927, has preserved the glories of the time that was in his legendary restaurant "Le Train Blue". Its rooms have been declared a national monument! The medium and long-haul trains pass all the main stations of the city. Gare du Nord pass the TGV Nord towards Lille; the grandes lignes trains to the north of France; the Thalys line to Belgium, the Netherlands and Germany; the Eurostar for London. TGV high-speed trains connect Gare de Lyon with Switzerland and Italy. For all the info, you can consult the official SCNF website from this link. Traveling by car is always a fascinating experience, even more so if you are willing to to reach France by this means; you can cross regions and unique landscapes during your journey. For example, you might try to make a stop in the Limousin, Auvergne, or even take advantage to see cities like Lyon. Or, again, cross the marvelous Burgundy. From Brussels, you have to travel about 300 kilometers to get to your destination; almost totally on the motorway section. For those coming from Italy, from Milan, are little more than 850, the miles to go. On the entire French motorway network, always respect the speed limits and bear in mind that checkpoints at toll stations are quite frequent. The motorway is quite expensive. The coach could be useful if you did not manage to find a favorable air fare or if you prefer this type for the trip. There are several ways to reach Ville Lumiére by bus, we recommend the efficient Eurolines, the company that manages the connections with the most important Capitals. On the official website you can get detailed information. Prices, including a suitcase in tow, start at around € 25.